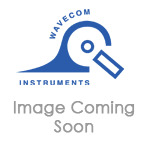 Wavecom Instruments, established in 1993 is an Australian Company that specialise in providing electrical test and measurement solutions. We are the manufacturers of the popular Portable Appliance Tester, the TnT which performs various electrical tests such as Insulation, RCD, Pass/Fail, 20Amp, 3phase Tests and more. We provide Repair and Calibration services for electrical test instruments. We also sell other instruments such as Microwave leakage tester, Sound vibration meters, 3G modems, Power meters & more.